WEST PALM BEACH - The Transportation Security Administration (TSA) and Palm Beach International Airport (PBI) today announced the opening of an application site for TSA Pre?TM, an expedited screening program that allows travelers to leave on their shoes, light outerwear and belt and to keep their laptop and a 3-1-1 compliant liquids/gels bag in their carry-on suitcase without having to remove them at the checkpoint. The TSA Pre?TM application process allows U.S. citizens and lawful permanent residents to go through a pre-enrollment process online at www.TSA.gov and visit an application center to provide biographic information (e.g. name, date of birth, address, etc. ), fingerprints, valid required identity and citizenship/immigration documentation and an application fee of $85 for a five-year membership. "This application process greatly increases the availability of TSA Pre?TM benefits to a broader population of travelers in the Palm Beach area," said TSA Federal Security Director Karen Hanlon. "TSA Pre?TM is enabling us to move away from a one-size-fits-all approach to transportation security, as we look for even more opportunities to provide the most effective security in the most efficient way." Palm Beach International Director of Airports Bruce Pelly said, "Having a TSA ?TM application center in our airport is a great convenience for our passengers. Our Airport is happy to partner with the TSA to provide travelers an opportunity to sign up for this program and thereby benefit from an expedited security process." 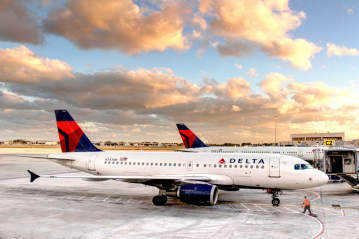 Once approved, travelers will receive a Known Traveler Number (KTN) and will have the opportunity to utilize TSA Pre?TM lanes at security checkpoints at 118 participating airports and on 11 airlines including: Air Canada, Alaska Airlines, American Airlines, Delta Air Lines, JetBlue Airways, Southwest Airlines, United Airlines, US Airways and Virgin America. As always, TSA continues to incorporate random and unpredictable security measures throughout the airport. All travelers will be screened and expedited screening is not guaranteed. 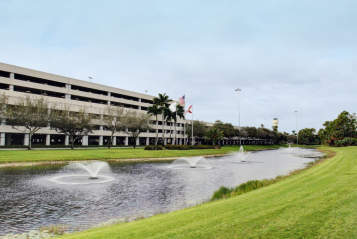 Additional program information and how to begin the enrollment process online and make an appointment at an application center such as the one now inside Palm Beach International can be found at www.TSA.gov. 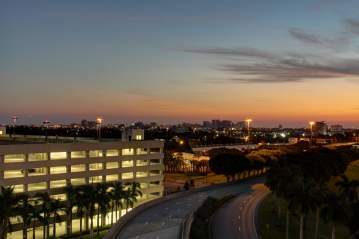 • The TSA Pre?TM application center in Palm Beach International Airport will operate Monday through Friday from 9 to 5. It is located on the 2nd level of the main terminal across from the business center and next to the currency exchange. It is highly recommended that applicants go online at WWW.TSA.gov to pre-enroll and establish an appointment. Walk-in appointments will be honored only on a first come, first served-basis after those with appointments. • Palm Beach International passengers began enjoying the benefits of TSA Pre?TM expedited screening lanes last October. • Two TSA Pre?TM expedited screening lanes are available at both Checkpoints AB and C. These checkpoints connect to all departure gates.